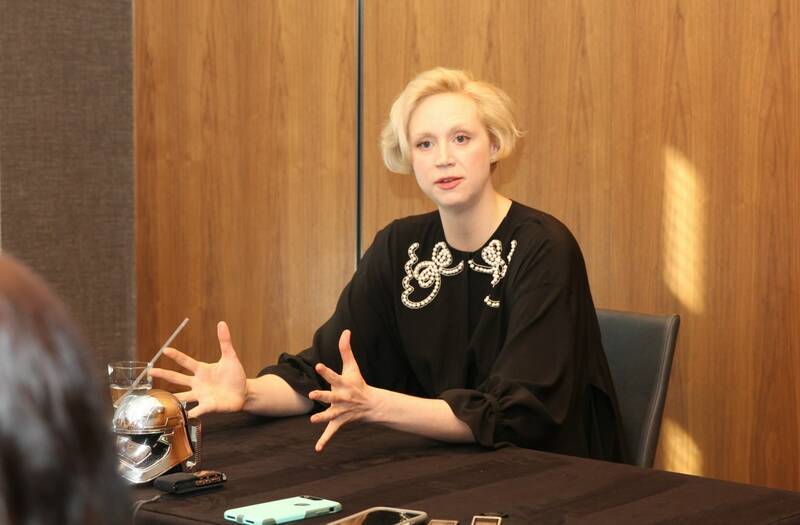 I had the opportunity to interview Gwendoline Christie while on a sponsored trip for #TheLastJediEvent on the behalf of Disney. While this post is partnered, all opinions are mine. Contains affiliate links. I’m going to be honest with you, when The Force Awakens first came out and we got our first look at Captain Phasma, I was totally stoked! There on the big screen was a female Storm Trooper and not only that, she was the one in charge! I loved everything about it. I know that she might not be the typical female, but the idea of her got me very excited for the film. Little did I know that two years later on the cusp of the release of the 8th film in the series, I would be sitting in a room interviewing Gwendoline Christie, the actor who plays Captain Phasma in Star Wars: The Last Jedi. 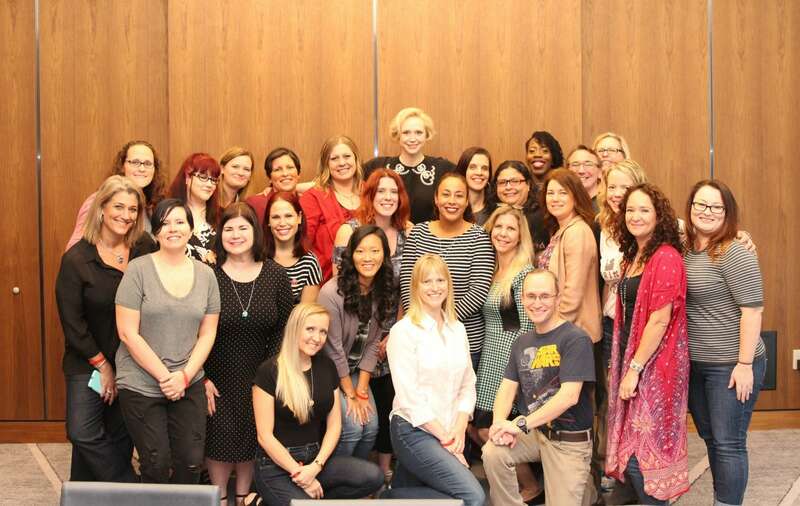 I’m going to be honest with you, Gwendoline Christie is an amazing person! She has a great sense of humor and joked around during the interview. She also has an immense compassion for people that is evident in her answers to our questions, which made me admire her. Myself, along with several other bloggers, had the chance to ask her about her role of Captain Phasma and what we can expect from her character in the new film. While she wasn’t able to give us any spoilers, she eloquently told us about the drive that Phasma has and a little bit about what we can expect from her in The Last Jedi. She is a mysetry, turns up out of nowhere. We want to see what is behind the mask. We are going to see more Phasma in the film of her resiliance and her overiding sense of revenge. We see this vilolence that we don’t usually see in woman, that comes from deep within. I think there’s something about those characters that are masked, that we want to see what’s behind the mask. What I loved about it is that in the world that we live in, we are met with deluge of information all of the time, and the idea of having that moment- the sort of suspension of disbelief where you have the space and are forced to wonder who is this, and who are they, I was very attracted by that. Star Wars: The Last Jedi Captain Phasma (Gwendoline Christie) Photo: Lucasfilm Ltd. © 2017 Lucasfilm Ltd. All Rights Reserved. 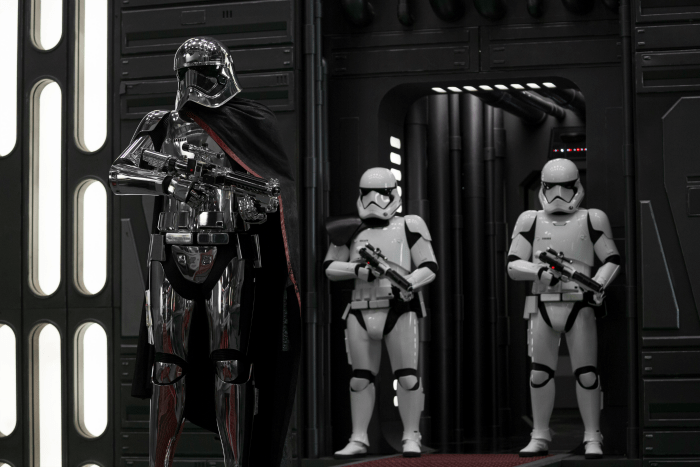 When I think of Captain Phasma, I think about her armor. It does make her more mysterious and also more menacing. I can only imagine how difficult it would be to play this character just by her costume alone. We asked her about the practicality of what she was wearing. As an actor, you have the challenge of just how to move which I’ve spoken about before- just walking becomes a challenge, but you realize that that person is exerting a great deal of force just to move, and that force is coming from within. This is something they’ve elected to do is to dress this way. And the idea of the senses being shot down, and sometimes entirely, that’s an interesting choice to make as a person, and in this case, as a female to elect to have all of your senses shut down- to exist entirely practically. So I was really fascinated by that. I also, you know, there’s a certain amount of strength and flexibility one needs, and I’m lucky enough to be working as an actor, so each at the moment, and the role that you take on, it says there’s something you need to do. So for other roles, it’s that something that you need to do is less than what you normally do because that person’s more- their energy’s back more, or they have less connectivity to their body. With someone like Captain Phasma, she has a degree of strength that has to exist muscularly, so she is a strong person, physically. And you know, that- we worked on a lot of that for the film. Preparing to play the role of a complex character is an art. This particular character is clothed in armor and can be harder for people to relate too. We asked her how she prepared to take on a role like Captain Phasma. Her answer will have you realizing that they found the best person for the role! Well, she’s a person. She’s a person, and you think about why people behave the way that they do. Often people that behave in a malevolent way, it’s because that’s the base of it- they’re fearful, and the fear overtakes them and it can manifest itself in a total loss of empathy. And that the total loss of empathy causes the person to only think about themselves and their own needs, and they’re own brain space becomes about their receives, how they feel attacked, and how they’re going to fight back. It also becomes about the individual rather than the needs of the group. And you know, when someone exists like that, it can be those that are liberty, and those that have spirit, and are unafraid to be who they are, that those people want to eradicate; that they want to hurt. I’ve been lucky enough to be in Game of Thrones for a long time- a longish, well, for me, it’s a long time; with my short career, it’s a long time, you know, I love the character of Brienne of Tarth whose got this incredible moral compass. And it’s great to see an unconventional woman be the hero, even for a moment. Even for a moment that the opportunity to play the opposite of that where someone like Brienne of Tarth has the strength, and it comes in, you know, it’s in every essence, every fiber of her being- someone like Captain Phasma, it’s in every fiber of her being- the need for ambition; the need for revenge; the need to be ultimate; the need to destroy. A woman as a destructive force when women are seen as mother– whatever that means which is a multidimensional thing, I truly believe. I do- that inverted; the opposite of that fascinated me, and I felt like the opportunities were limitless. 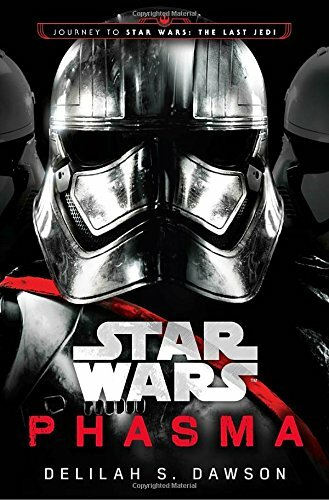 There is a new book written by Delilah Dawson about the life of Captain Phasma. We asked her if she had a chance to read the Captain Phasma novel yet? I’m reading it at the moment. I’ve been very lucky to be really- well, busy and so will tell you is that on my breaks from Game of Thrones on set, I’m reading the book. And I’m reading it off my phone because otherwise people are gonna ask me constantly about what is happening. But it’s brilliant. It’s really brilliant. It’s genuinely so good and that it just explains so much about the character. Rian and I had sat down at the very beginning- I felt very privileged that the director wanted to sit down with me and say, what do you think, the way he did with everyone in the cast. And you know, you formulate your own ideas about what is the character motivation, and as an actor, you have to have those motivations in order to be a human, otherwise it’s just a series of kind of facts and nobody feels any connection to that. But I’m, like, I’m really excited to be reading it at the moment, and it’s just framed so interestingly and the depth of imagination is- I’m very excited that we have similar ideas. During our interviews with the cast, we asked each of them if they had a lightsaber what color would it be. Gwendoline gave my favorite answer of the day! I think it would be pink, because of what that represents, you know? It’s a pink ribbon that represents wanting to stand with the further research into breast cancer into, you know, the idea of pink and the pink pound with the gay community, which is a community I’ve always had a strong relationship with, and also because, you know, it’s kind of a double-edged sword. When something’s pink, you think it’s soft and fluffy, and then, whoop, I just cut your head off. 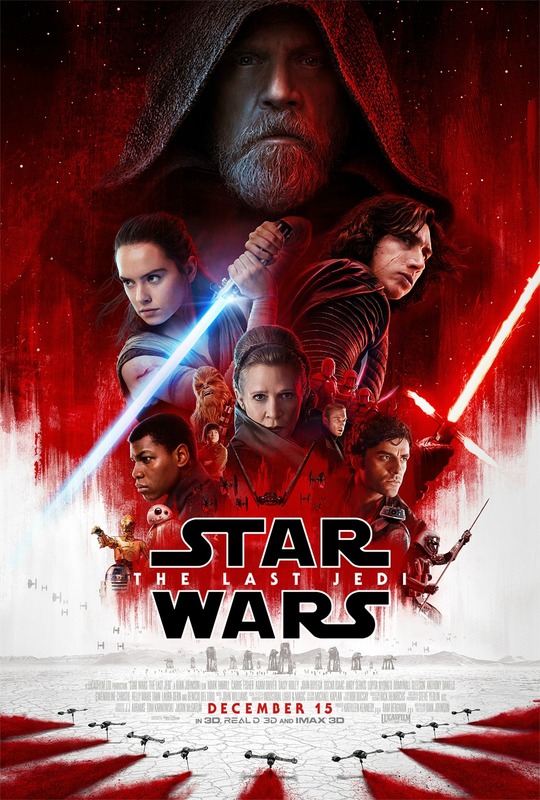 Be sure to revisit this entire week when I share the interviews from the global press event including our interviews with Laura Dern (“Vice Admiral, Amilyn Holdo”), Domhnall Gleeson (“General Hux”) and Kelly Marie Tran (“Rose Tico”) as well as the entire cast of The Last Jedi during our global press event.